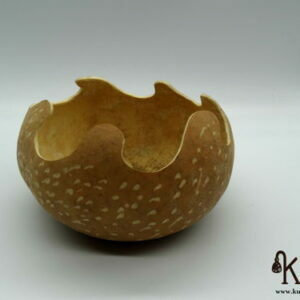 Rustic handmade bowl made with natural gourd. 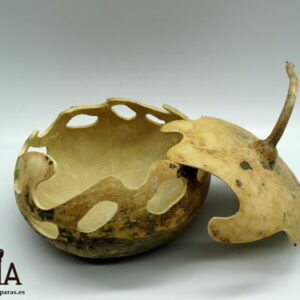 The gourd, cultivated and dried by ourselves, has been emptied and carved in an artisanal way. 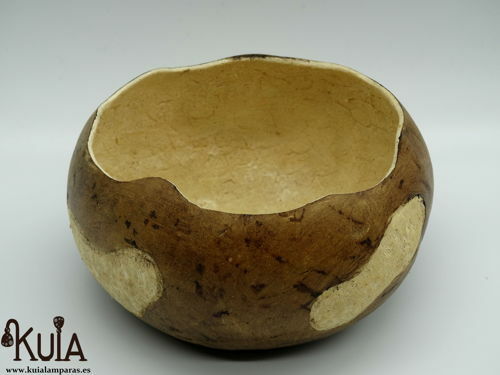 This bowl, painted in a wood tone with Judean bitumen, has an ideal rustic appearance for lovers of natural decoration. 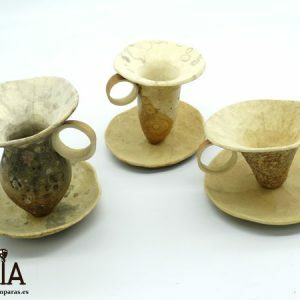 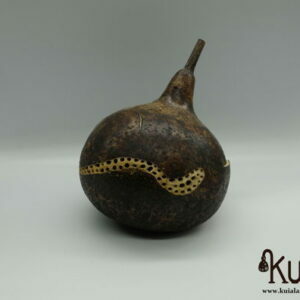 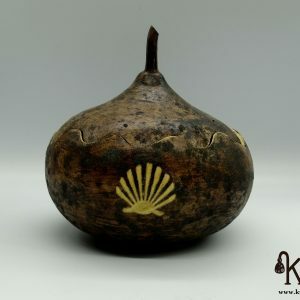 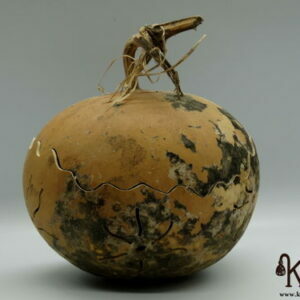 It has a light carving, a small wear on the pumpkin that acquires a white color that contrasts very well with the aged wood color of the gourd. 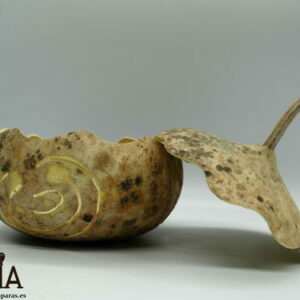 It is ideal to decorate and store anything in the corner of your home you want.